Mark Klaiman was called to the bar in 1982 after graduating from Windsor Law School. After his call to the bar, Mark began practising with a law firm specializing in defence insurance litigation. During this time he gained valuable insight into the workings of insurance companies and gained experience in personal injury and insurance litigation. After 1986, he joined a firm engaged in a general litigation practice. Since then, he has expanded his practice to encompass a broad range of litigation. The emphasis of his practice is franchise and commercial litigation, personal injury litigation, estate litigation, and collection matters. Mark has extensive trial experience having conducted over one hundred trials, both jury and non-jury, in the Ontario Superior Court of Justice. He regularly appears on motions and applications. He appears as counsel in appeals in the Ontario Divisional Court and the Ontario Court of Appeal. He also appears as counsel on criminal matters and regulatory offences. He has acted as counsel before administrative tribunals and on arbitrations. As a seasoned litigator, he recognizes the need for resolution. As such, he is an experienced negotiator who works towards maximizing settlement potential. 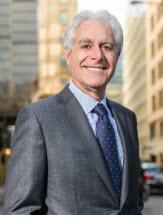 He has conducted numerous successful mediations in a wide variety of areas. Mark is currently a member of the Canadian Bar Association, the Ontario Trial Lawyers Association, the American Trial Lawyers Association, the Advocates' Society and the Medico-Legal Society.